More and more our world is moving to “real time” interactions. This is true for marketing as well. Can we manage to take advantage of this for our digital business? Most important to all of this is understanding why real time marketing is important. How will it improve the customer experience? What customer needs will it meet? Will the results be simple and easy to use? 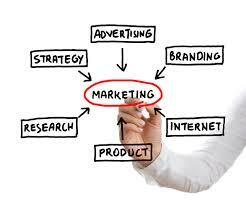 The four T’s lay out a good framework for moving a real time marketing strategy forward. While time may be an age-old construct designed by man to bring order to the past, present, and future of our chaotic world, real-time marketing RTM and customer service embrace the here and now. Life continues to speed forward, yet technological advancements allow both consumers and companies to stop the clock as they interact in the moment. But, as expectations evolve alongside the tools that support relationship growth, businesses must actively establish an internal strategy that empowers employees across the enterprise. Though real-time marketing and service aren’t new concepts, many organizations lack the defined roles necessary to maintain balance and meet demand. via Spotlight | Mapping Out Employees’ Real-Time Roles and Responsibilities.